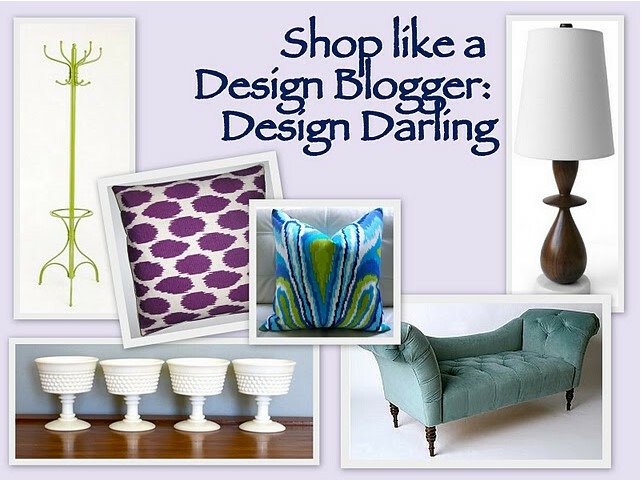 Today I'm thrilled to welcome the fabulous and talented Mackenize from Design Darling. I remember when I first found her blog I was absolutely astounded to learn that Mackenzie was still in college -- indeed, her style is far more sophisticated and refined than her college age status would suggest. And I'll admit that I was just a tad jealous over her fabulous internship this past summer with one of my all-time favorite design gurus and personalities, Jonathan Adler. But Mackenzie's sweet and sparkling personality makes both her youth and her enviable C.V. hard to hold against her. Hi everyone! I’m so excited to share my shopping secrets with you on Odi et Amo today. I just recently completed my first interior design project — the bedroom of my off-campus house for my senior year at Bucknell — so this subject is certainly fresh in my mind! My second stop is the apartment section of Urban Outfitters. If you’re looking for bohemian bedding, chic occasional chairs, or inexpensive rugs, this is a must-click! For throw pillows — hands down the easiest and least expensive way to update a space! — I turn to two of my wonderful sponsors, Elegant Touch and Fabricadabra. 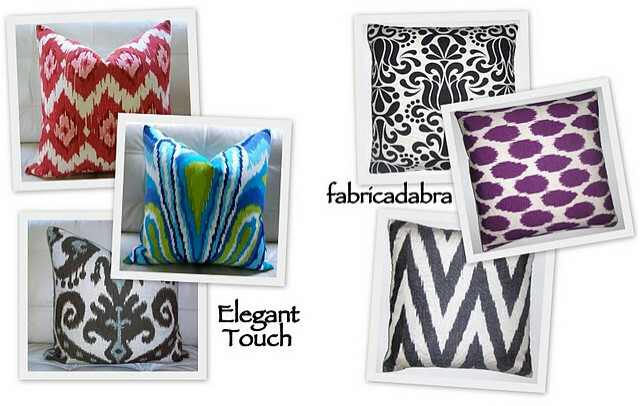 Olga at Elegant Touch carries beautiful suzani pillow covers and Fabricadabra has the best online selection of ikat fabric in a variety of colors. I love to support my blogging friends’ small businesses so I spend more time than I care to admit on Etsy — and at Jamie’s new online boutique Furbish! I’ve long admired her quirky sense of style and her talent in turning plain wood pieces into painted works of art so it’s a treat to be able to shop her wares online. 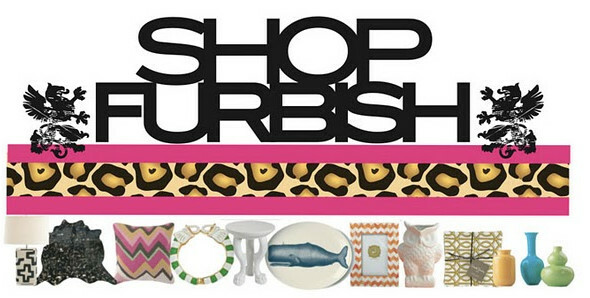 For those not in the market for découpaged dressers or seashell print ottomans, she also carries fabulous pillows and prints and plenty of goodies for under $100! 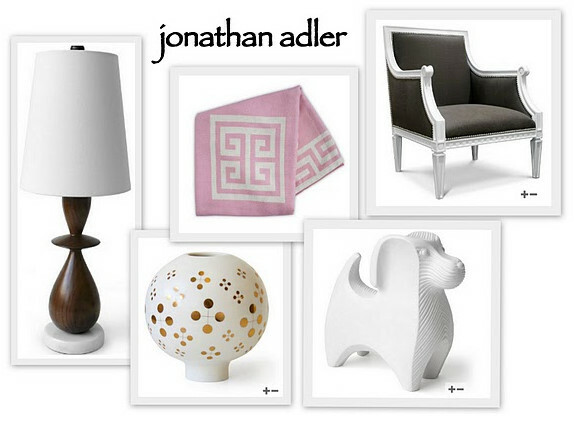 I’m a little biased having interned for him this summer but I know Averill is a fan so here goes: Jonathan Adler is stop number three! If you’ve never been to one of his stores, you must! 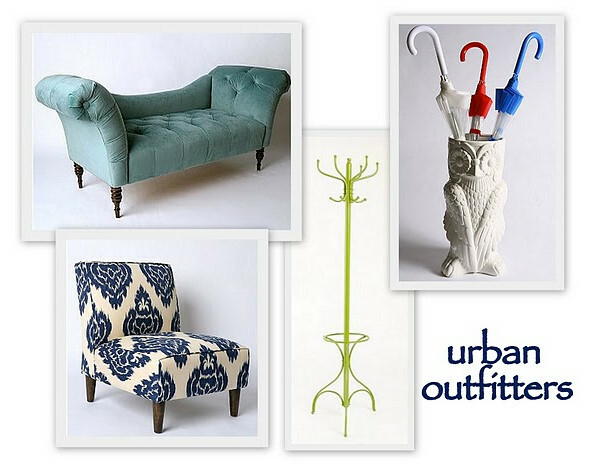 Color and styling inspiration abound. Thankfully for those of us in the suburbs (or rural Pennsylvania, as the case may currently be) his site features all the same gorgeousness — tongue-in-cheek pottery, graphic needlepoint pillows, design-your-own rugs... Clearly I’m a little obsessed! Thank you so much to Averill for having me here today — it’s been a pleasure! 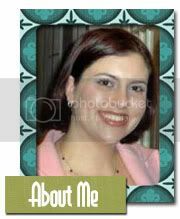 Next week's guest blogger: Lindsay of EverythingLEB. She is a girl ahead of her time. Love the picks and enjoy her blog as well. Thanks for sharing Mackenize's design tips and tricks. I have heard of sooo many people finding great items on Craigslist, I have to jump in that band wagon! Great suggestions Mackenize--can't wait to see what you've done to your dresser. Thanks Mackenzie - dying to see what you've done to your campaign dresser!! 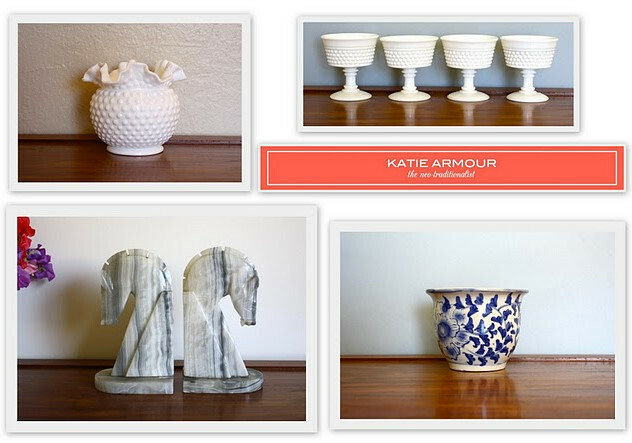 Love Katie Armour's finds and her blog too!! What a fun blog she has! Thanks for sharing new Etsy shops to check out. Wow - Urban Outfiller! Who knew? I can't wait to check out Katie Armour's etsy shop and blog. Another great post in this series!